The Seam, a leading provider of agribusiness software and trading solutions, has formed the Cotton Technology Alliance in cooperation with the American Cotton Shippers Association, National Cotton Council and International Cotton Association. Introduced during the 94th Annual ACSA Convention in Austin, TX, in May, the organization held its first official meeting on June 26. The Alliance is initially focused on data standards, which will have a positive impact on all sectors of the cotton industry. 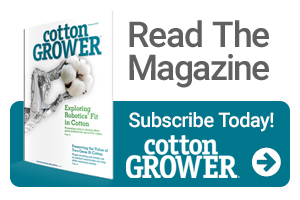 The Cotton Technology Alliance will provide a neutral forum enabling industry software experts to collaborate by defining, extending and contributing to data standards, explore emerging technologies and communicate more closely around industry and regulatory changes. Initial member companies of the Alliance include Cargill, Dunavant, EWR Inc., Louis Dreyfus Company, Mallory Group, PCCA, The Seam, Staplcotn, Three Rivers Cotton Systems, USDA AMS Cotton and Tobacco Program, and Wakefield Inspection Services. The Alliance formation coincides with The Seam’s recent website overhaul, which features information on the company’s products – ranging from custom software for agriculture and commodities trading to blockchain initiatives, as well as a newsroom reporting on the latest trends within the industry.